What’s in A Smart Home? Smart home devices aren’t the way of the future. They’re already here! 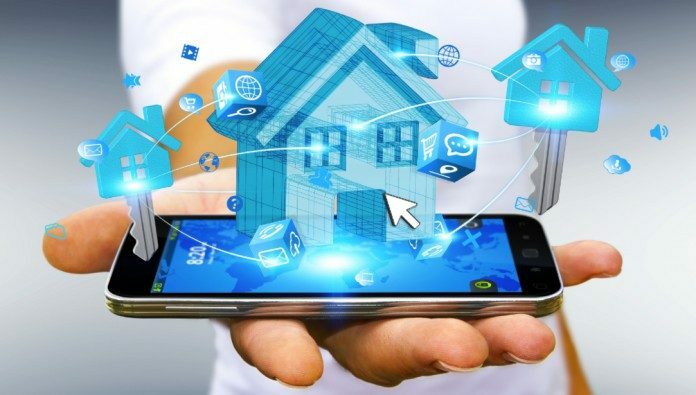 Although smart homes are still in their infancy, there are already several exciting devices that allow homeowners to control their thermostats, lighting, and appliances from their smartphones wherever in the world they may be by simply opening an app. With a host of individual gadgets and entire connected home systems emerging on the market, such as those from Amazon, Apple, and Google, we look at some of the top devices and what they can do for us to make our lives easier. This voice-controlled speaker is a personalized virtual assistant in your own home. 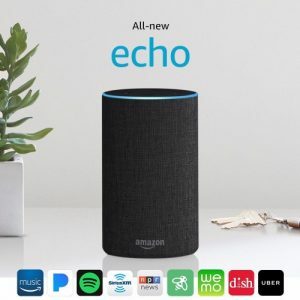 If you have the right interconnected devices, such as a compatible thermostat, you can simply ask Alexa to turn up your heating, tell you jokes, confirm the sports score, turn pounds into kilos, and even play music through its multidirectional speakers. It can even order taxis and tell you your weight, making the Echo an innovative device with life-changing possibilities. 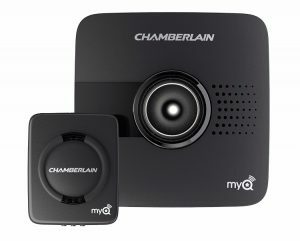 Another smart home security device that will make breaking into your home difficult is the Chamberlain MyQ Garage. This innovative device will send you an alert if you have accidentally left your garage door open, and will also offer remote control capabilities so you can open and close its door wherever you are. Even better, it can switch on your home’s air conditioning and lights as you’re pulling into the garage. 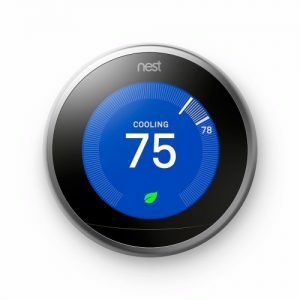 With an attractive anodized aluminium finish, the Nest Learning Thermostat can either be placed on a stand or mounted on the wall to suit your preferences. This clever gadget talks to your boiler to control your water heater and home-heating system. The sensor can realize when you have gone out and switch the system to Away mode to save energy. The water or heating can be remotely switched off or on through a smartphone. While you can set a schedule, the Nest can even organize a suitable timetable for you based on your regular schedule to help you save money. 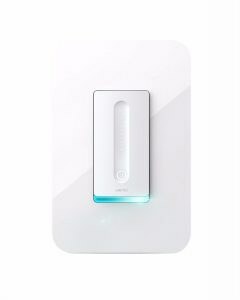 The Belkin WeMo light switch is an app-enabled switch that connects to the Amazon Echo. Never again will you be stumbling around the bedroom in the dark trying to find the light switch. You can just ask Alexa to turn the light on. 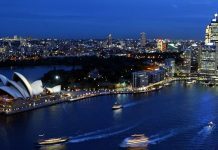 This innovative switch also allows scheduling of lights to come on and off – ideal for when you’re on vacation – and it can also be remotely controlled from a smartphone. You can combine it with other smart devices, too, for a seamless smart home. The three light bulbs that come in this starter kit are compatible with either Amazon Echo, Google Home or HomeKit, and are controlled by a wireless bridge unit. These bulbs can be set to any of 16 million colors. 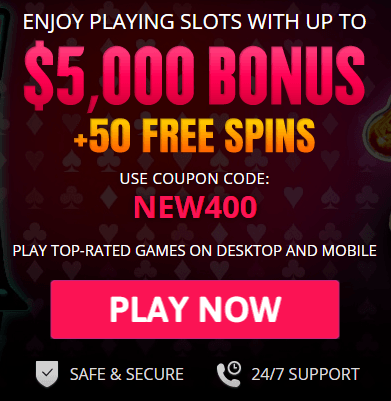 You simply choose the one you prefer and then set up an automated timer for it. 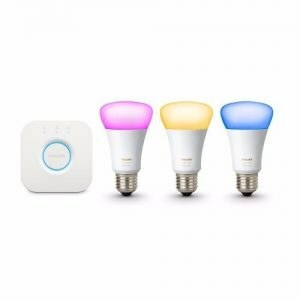 You can also turn the lights off and on remotely from your smartphone or add other Hue light bulbs to the array, including standalone lights or candle bulbs. You can take your choice from either bayonet or screw-fitting bulbs and have truly unique lighting throughout your home. This device represents a simple way of starting your smart home project. 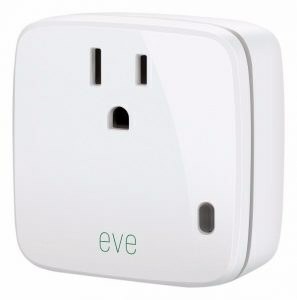 Incredibly user-friendly and easy to set up, this smart power switch is HomeKit-enabled and plugs into a wall socket. You then plug in the electrical device of your choice; for example, a fan, lamp or tea kettle. Then, you turn on the connected device remotely so the water in your kettle will be boiled by the time you arrive home, or your room will be pleasantly cool and ready for you. Another advantage of this smart switch is it can monitor your electricity consumption, so you can have a better idea of your energy usage. For a truly smart home security system, the Lockitron Bolt is the ideal solution. You’ll never need to worry about where you’ve put your keys since this innovative lock allows you to lock and unlock your home using an automated proximity sensor that is inbuilt into a smartphone app. 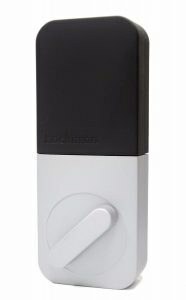 This intelligent lock allows homeowners the power to enable temporary access to anyone who may need to enter the property when they are not home, although controlling the lock remotely requires you to also purchase the Lockitron Bridge wireless gateway. This security camera is advanced and super smart without compromising on good looks. 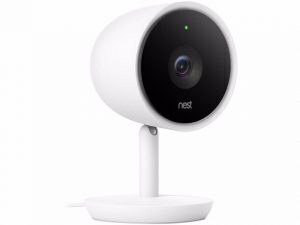 With a digital sensor and quality lens, if this device spots an intruder in your home, it can send you a real-time alert, streaming high-resolution footage that can be used as evidence. 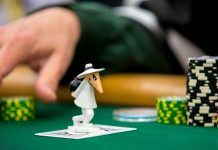 The clever software can even zoom in and follow the intruder around the room, and it even incorporates face-recognition software. With night vision, a microphone, and a speaker, you can communicate using your phone with your home. For anyone who wonders what his or her cat or dog does during the day while he or she is at work, the Furbo is the ideal purchase. With a speaker and microphone, this device allows pet owners to talk to their pet remotely or receive alerts if their dog barks. 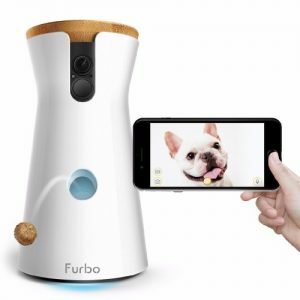 Even better, Furbo can be loaded up with pet treats that can then be dispensed remotely through the app. 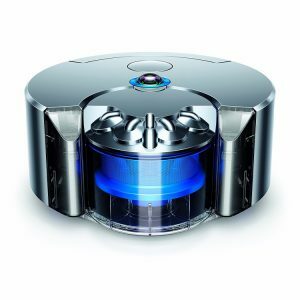 Dyson products are always impressive, and you won’t be disappointed by this small vacuum robot. While it isn’t cheap, this compact device takes up very little storage space and is incredibly user-friendly. Simply charge and then switch on to activate the device, which moves methodically around the home, cleaning the floors. If it somehow gets stuck, it can switch off, navigate back to safety and then begin again. With high-suction power, you can even schedule it to start cleaning at a time of your choosing. 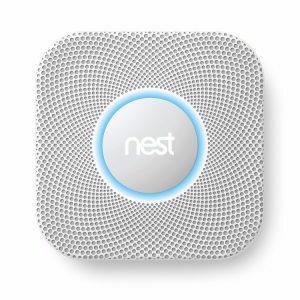 If you’re looking for a smart carbon monoxide and smoke alarm, the Nest Protect is the ideal answer. Capable of differentiating between steam and smoke, this device speaks its warning before emitting the alarm rather than just emitting an unpleasant shrill. It also sends an alert to your smartphone in case you’re out of the house at the time. There are two versions – a battery-powered model and a wired one, although the battery-powered version requires the batteries to be replaced periodically. The Nest Protect works in conjunction with the Nest Thermostat, so if there is an emergency, the Thermostat can switch the heating off. It even functions as a nightlight if you walk past it in the dark. How smart technology will affect us? 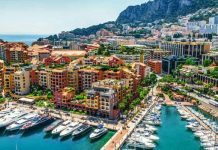 As smart technology continues to grow and develop, it’s highly likely that we’ll see ever more connected devices in our homes that will enable us to improve the financial running of our properties, as well as their security and living environment. We can also expect to see gadgets that will immerse us in ever more impressive entertainment experiences. With the rise in remote communications, we may even soon see a time when we no longer need to call a repairman. Companies will be able to detect potential problems from a distance before a complete breakdown occurs and send someone to rectify the issue.